A major landlord in New York City agreed to pay $8 million in restitution to tenants to settle the charges against him. On Wednesday, New York Attorney General Eric Schneiderman announced that his office reached a settlement agreement with landlord Steve Croman. In addition to the monetary settlement, an independent management company will run more than 100 Croman residential properties for five years. Moreover, a monitor will also supervise his compliance with the settlement for seven years. The monitor will report regularly to the Attorney General’s Office. The AG’s office accused Cromanof engaging in illegal conduct including coercion, fraud, and harassment. He was also accused of forcing rent-regulated tenants out of their apartments to convert it into highly-profitable market-rate units. In October, Croman pleaded guilty for committing tax fraud and fraudulently refinancing loans. He agreed to pay a tax settlement of $5 million. He is serving a one year prison sentence in connection with the criminal charges against him. “Earlier this year, we put Mr. Croman in jail for an elaborate scheme that was intended to push out rent-regulated tenants. And today, we’re ensuring tenants get the restitution and protections they deserve…,” added Schneiderman. 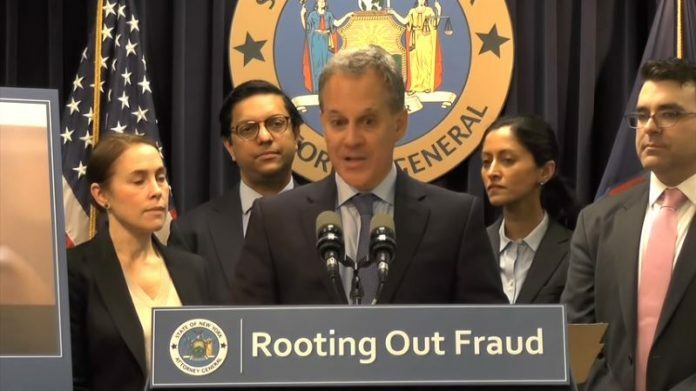 Furthermore, Schneiderman emphasized that his office has “zero tolerance” for landlords who try to boost their profit by disregarding the welfare of their tenants. Moreover, he reiterated that his office will continue to ensure that all landlords play by the rules and will aggressively pursue anyone who doesn’t. The attorney general office said Anthony Falconite, the other defendant in the case will not have interaction with any Croman tenants. The landlord referred to Falconite as his “secret weapon” in intimidating rent-regulated tenants.